What will make your baked pasta even better? If you use artisanal classic organic ziti by Marella, of course! Baked ziti is one of the most popular comfort foods in the world today. This in turn, make ziti quite popular, too. However, ziti is not just any regular pasta you see in supermarkets today. It is not only delicious but also a lot less hassle to make than lasagna. More than that, its hollow center is perfect for catching those chunky cheesy or meaty sauces. Certainly makes every bite an exciting epicurean experience. And where else will you find a better ziti pasta than Marella’s Organic Ziti? 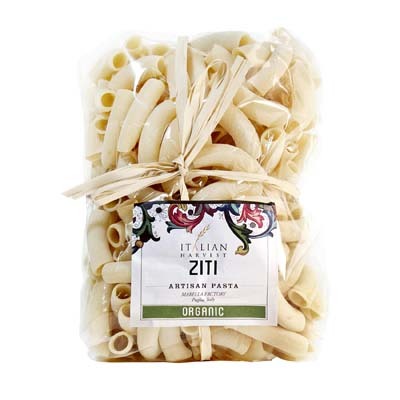 A pack of classic ziti, with its smooth texture and hollow center, it is the perfect pasta shape for all kinds of baked pasta, or pasta al forno, dishes.